This course is a survey of Italian art and archaeology. 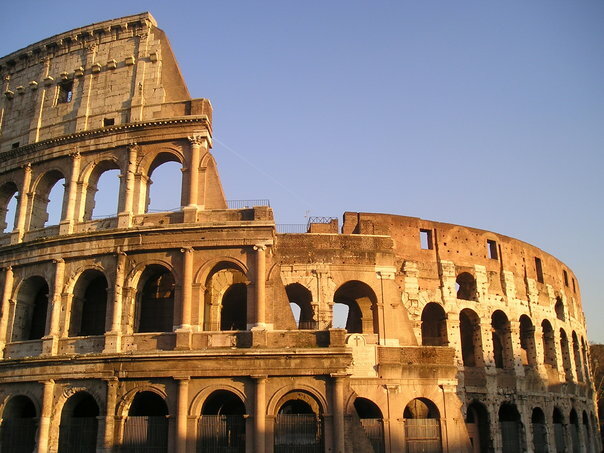 With reference to the major monuments, art works, and archaeological evidence, this class will explore the peoples and dynamics of the peninsula over the course of its history: from the early Italians such as the Etruscans and Samnites, to the Greek colonists in southern Italy and Sicily, and the rise and spread of the Roman empire across the Italian peninsula, with special focus on the Appian Way, that ‘Queen of Roads,’ which both facilitated and symbolized Roman expansion. We will conclude with the rise of Christianity in the Roman empire and the changing geography of power in Italy in late antiquity. recognize the impact and legacy of ancient Italian art, archaeology and architecture in the modern world. Class meetings will revolve around lectures on the themes presented day-by-day in the syllabus. However, you are encouraged to ask questions and give comments if you have something relevant to say regarding the information! Readings are assigned by the week, so you can do them at your convenience, but we will have quizzes every Friday to evaluate your reading comprehension and the clarity of the lectures, so please make sure to have the readings done by then. Weekly review quizzes will be taken on alternate days when they conflict with an exam or exam review, marked on the schedule of readings and exams, below. Through the Kanopy streaming service provided by Strozier Library, we have access to many documentaries and lectures from the Great Courses series, illustrating some of the topics we are covering in class. I have listed relevant documentaries/lectures next to each week’s reading; you are not required to watch them, but they may be useful supplementary resources for you to review concepts, places, historical events, and visualizations of the objects we are covering in class. PowerPoint slides, images, and other supplementary material and resources such as the class bibliography will be posted to Blackboard for your reference. Ramage, Nancy and Andrew Ramage. Roman Art: Sixth Edition. ISBN-13: 978-0205988952; ISBN-10: 0205988954. Pearson. You can find more recommended reference works and further reading on the Course Library page. Participation: Please come to class on time and ready to actively contribute to discussion by sharing your thoughts, comments, and/or questions in response to the readings and short assignment prompts. Excessive absences will negatively impact your participation grade, which will comprise 5% of your final grade. Quizzes: Occasional short, in-class quizzes will gauge your comprehension and reactions to the readings (especially the primary sources), previous material, and geography of the Mediterranean and its connections. These will take place every Friday, weeks 2-9 and 11-16 (see Class Format, above). Quizzes cannot be made up without a documentation for an excused absence (e.g., a doctor’s note). Out of 13 quizzes, you can miss two (2) without penalty. You must have your object approved by Week 13. I will provide a metadata scheme that you can use to compile your information and structure your paper. Details will be circulated and discussed in class. All written assignments will be submitted via Turnitin on the ARH3150 Blackboard site. Please see Turnitin for instructor feedback on written assignments, both in-line and as comments. Exams: Three one-hour exams will consist of multiple choice, short IDs, slide IDs, and map location identification portions. These will follow the format of the in-class quiz questions, so that students have an idea of what to expect and how to prepare. We will review in class before each exam. Please demonstrate your respect for your classmates, and for me, by silencing and putting away your cell phone (and any other electronic devices) before class begins. Remember that texting, chatting, and surfing the internet, Facebook, etc., during class not only compromises your capacity to successfully contribute to class and receive a full participation grade, it can also be extremely distracting to your classmates. Assignments will be accepted for three days (72 hours) following the due date and time of the submission; each 24 hours will result in a 5% deduction from the final grade (up to 24 hours = 5%, up to 48 hours = 10%, up to 72 hours = 15%). Assignments more than 72 hours late will not be accepted. This includes those assignments for which you were not in class to submit an assignment, collect the exercise prompts when they are distributed, or hear the reminder that an upcoming assignment is due. Of course, if you have a note from a doctor, sports team, etc., we can work out another means of submitting and evaluating the assignment. Initiative is always rewarded: if you know you are going to miss class, please come talk to me about whether and how you can make up the assignment. Excused absences include documented illness, deaths in the family and other documented crises, call to active military duty or jury duty, religious holy days, and official University activities. These absences will be accommodated in a way that does not arbitrarily penalize students who have a valid excuse. Consideration will also be given to students whose dependent children experience serious illness. (2) bring a letter to the instructor indicating the need for accommodation and what type. Please note that instructors are not allowed to provide classroom accommodation to a student until appropriate verification from the Student Disability Resource Center has been provided. On-campus tutoring and writing assistance is available for many courses at Florida State University. For more information, visit the Academic Center for Excellence (ACE) Tutoring Services’ comprehensive list of on-campus tutoring options - see http://ace.fsu.edu/tutoring or contact tutor@fsu.edu. High-quality tutoring is available by appointment and on a walk-in basis. These services are offered by tutors trained to encourage the highest level of individual academic success while upholding personal academic integrity. I recommend that you make use of FSU’s Reading/Writing Center facilities and resources. Learn more at http://wr.english.fsu.edu/Reading-Writing-Center and make appointments at Strozier with support staff at https://www.lib.fsu.edu/tutoring/reading-writing-center. Except for changes that substantially affect implementation of the evaluation (grading) statement, this syllabus is a guide for the course and is subject to change with advance notice. Any changes to the schedule of readings, assignments and class meetings will be announced and updated on the Blackboard site for ARH3150. Students are responsible for checking their email for announcements and for checking the Blackboard site regularly for announcements of changes to the readings and meetings.